"Many insurance companies now stipulate that you hold a valid test certificate in order for your insurance to be valid." Electrical regulations in the UK require that all employers and landlords ensure that electrical items are maintained and safe for use. Often, electrical damage is not something that is easily visible, as cables and wiring systems are concealed behind walls or out of sight. Therefore, without regular testing, electrical faults can easily go unnoticed and leave equipment in an unsafe condition. 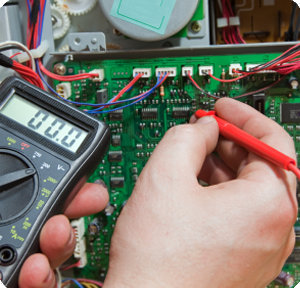 Circuit Alert Ltd.'s highly qualified, experienced Engineers are able to carry out a wide variety of Electrical, Fire Alarm, Emergency Lighting and Appliance (PAT) tests including those required by BS 7671:2008. Should any remedial works be required as a result of the testing, our teams of Electricians are available to rectify the installation if required.